The history of ancient Iran holds great significance for our Community – it is a heritage we can be truly proud of, and hopefully, imbibe some of the values that our ancient monarchs and leaders stood for. 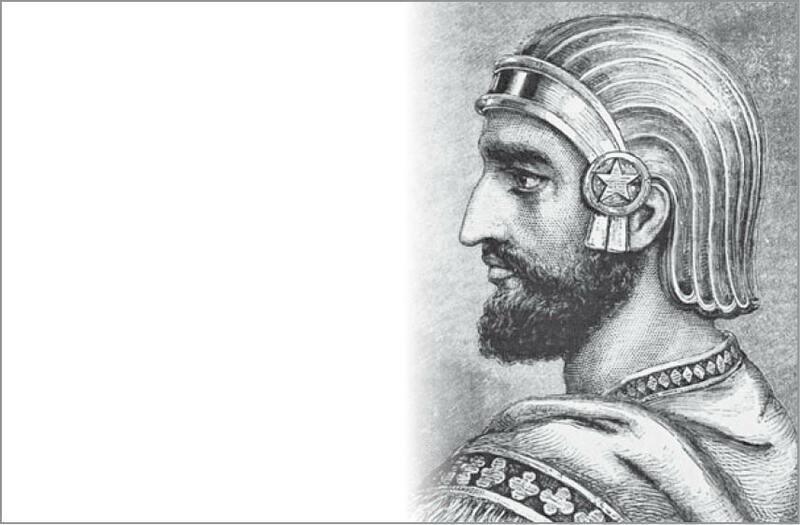 Parsi Times is delighted to bring you yet another brilliant and exciting series by our Zoroastrian scholar and author extraordinaire, Noshir H. Dadrawala, as he takes you on a journey sharing exciting insights into the lives and greatness of the three most revered Zoroastrian Achaemenid Kings – Cyrus the Great, Darius the Great and Xerxis the Great. 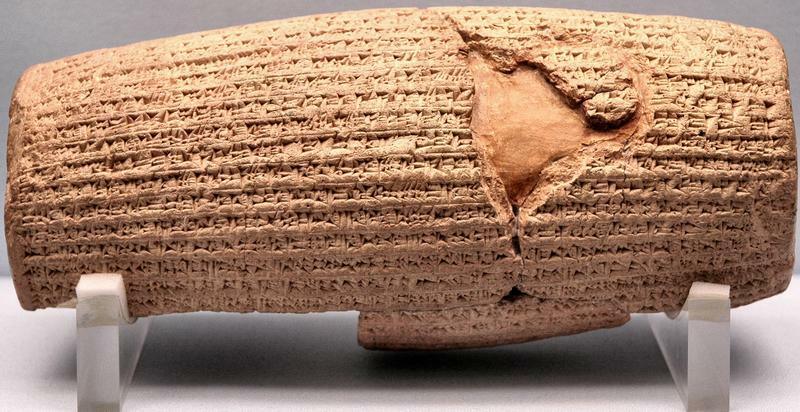 The Charter of Cyrus the Great, a baked-clay Aryan language (Old Persian) cuneiform cylinder, was discovered in 1878 in excavation of the site of Babylon. 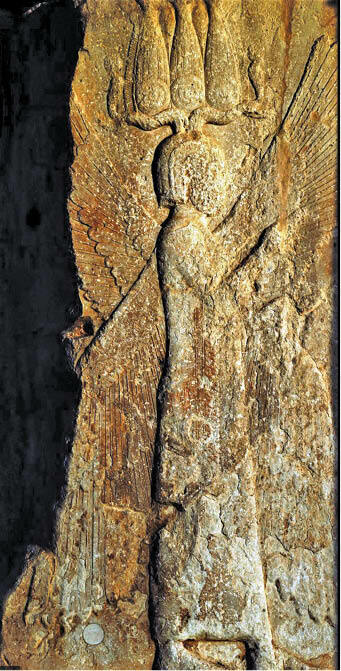 In it, Cyrus the Great described his human treatment of the inhabitants of Babylon after its conquest by the Iranians. The original cylinder is housed at the Museum in London (though often carried around the world, including once to India a few years ago), while a replica is housed at the Headquarters of the United Nations building in New York City. The term astodan means ‘place for keeping bones’. In other words, the bones or mortal remains of the Great King were laid to rest here. The beauty of the astodan at Pasargade lies in its simplicity. It is constructed of huge blocks of white limestone, fastened together by metal clamps. It is amazing how, after more than 2,500 years, and with no use of cement (just metal clamps), the structure has remained more or less intact. The sepulcher is surrounded by seven graded courses which form wide steps on all four sides leading to the mortuary chamber, covered over by a pediment roof and reached by a very low door. The whole structure which has a pyramidal shape, measures about 35 ft. in height from the ground to the top of the roof and about 50 ft. x 40 ft. at the base. In his day, Cyrus had founded an empire of unprecedented size and power. 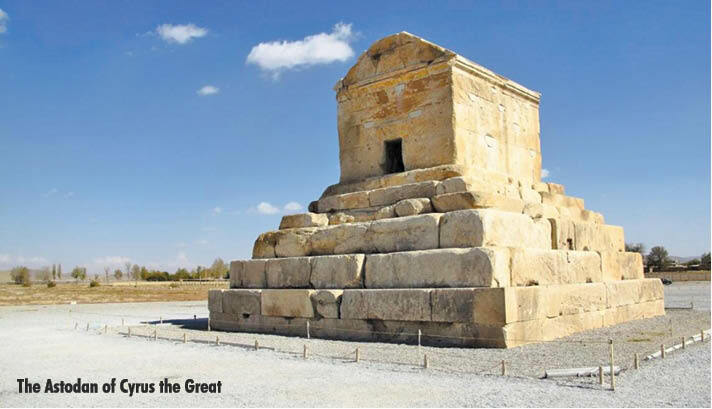 Because Alexander hoped to surpass the Persian monarch’s achievements, he felt compelled to pause here and pay homage to his acclaimed predecessor.